Jodi Started training dogs as a teenager, raising two puppies for Canine Companions for Independence. During her high school years she followed her love for dogs and worked at a dog boarding facility in Indianapolis. Erin’s experience in dog handling began in 2001 at a boarding kennel in Southern Illinois. 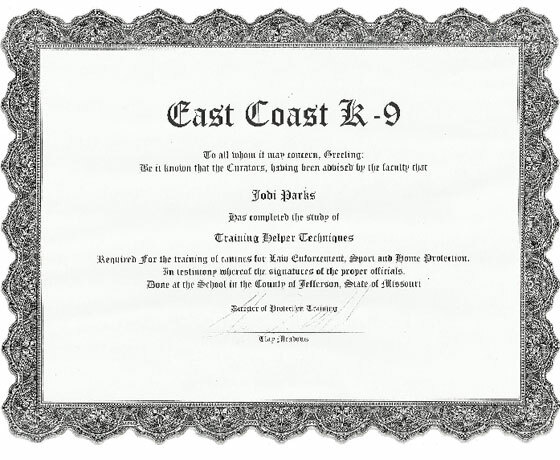 Then deciding to make this a career, Erin and Jodi attended dog training school to become professional dog trainers. In April of 2004, Erin and Jodi graduated with honors at the top of their class from the Tom Rose School near St. Louis Missouri. 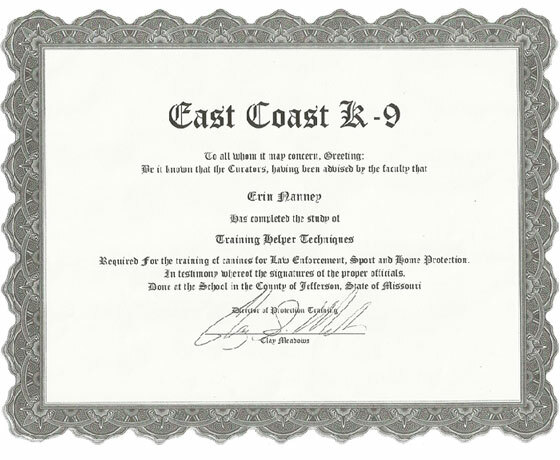 Erin and Jodi have been certified to train dogs in beginning and advanced obedience, agility, tracking, narcotics detection, and personal protection work. Erin and Jodi have been actively and successfully training dogs professionally since 2004. 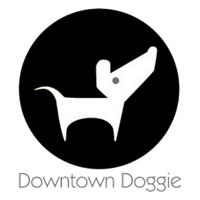 Erin and Jodi share a great love and passion for dogs and are very excited to get to know your Downtown Doggies! You’re family – We treat you and your pet like family! 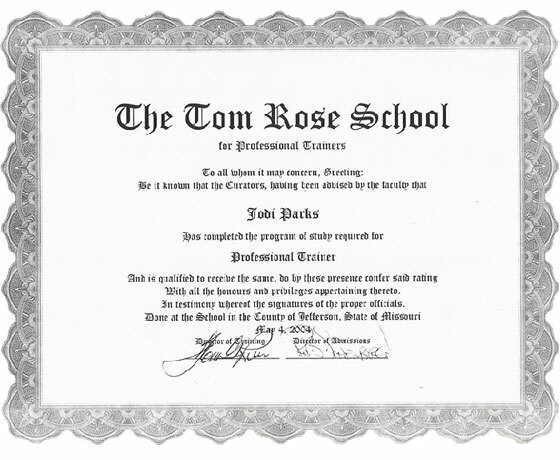 Erin and Jodi graduated from the Tom Rose School for professional dog trainers in May 2004. They were extensively trained in all different areas of dog training/handling. They both are certified to train dogs in advanced and basic obedience, agility, narcotics detection and tracking. 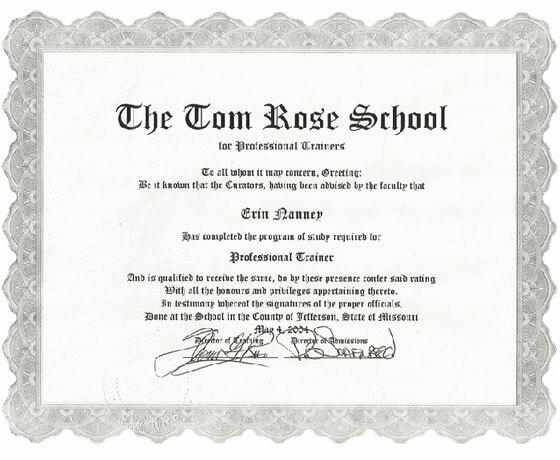 Founded in 1979, the Tom Rose School (TRS) became the world’s elite dog-trainer academy. Employers recognize that a TRS graduate is without equal. To continue keeping up on all of the newest pet ideas and training techniques, Erin and Jodi attended a two day seminar in Ohio. At the seminar they learned about clicker training and gained knowledge on all of the newest pet products.